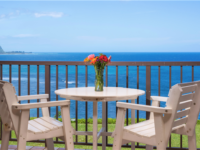 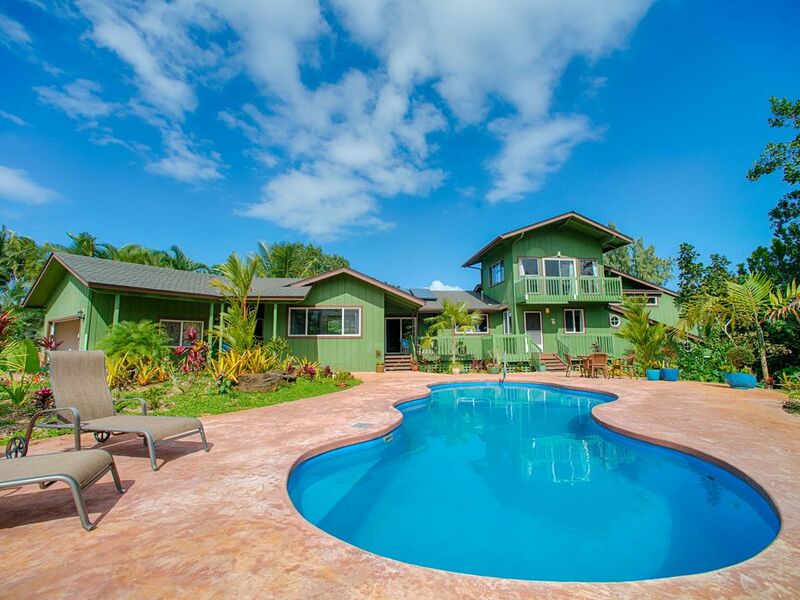 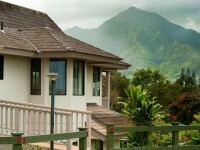 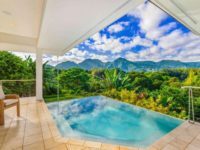 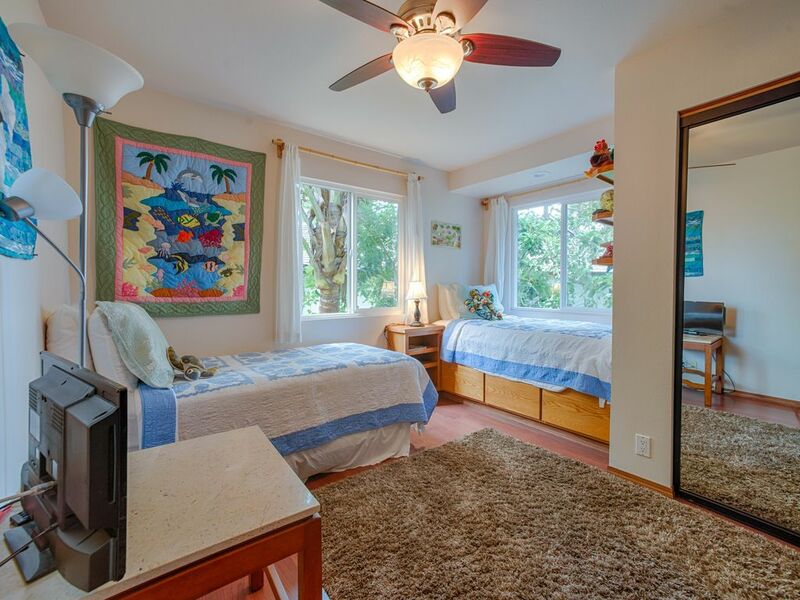 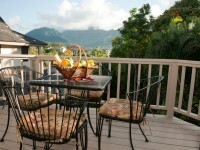 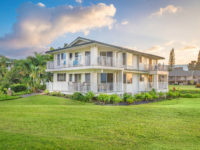 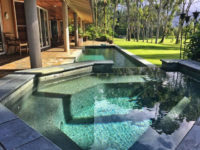 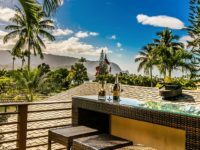 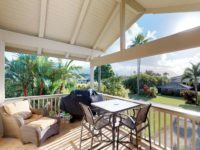 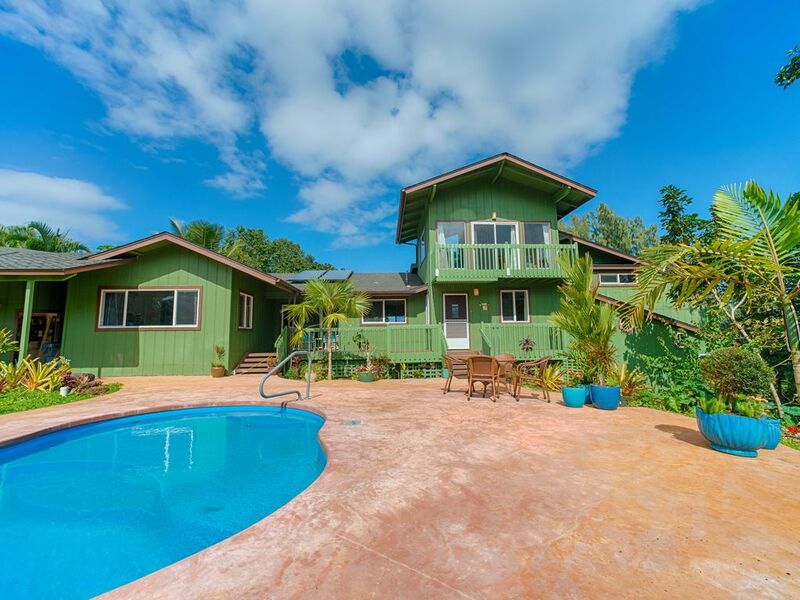 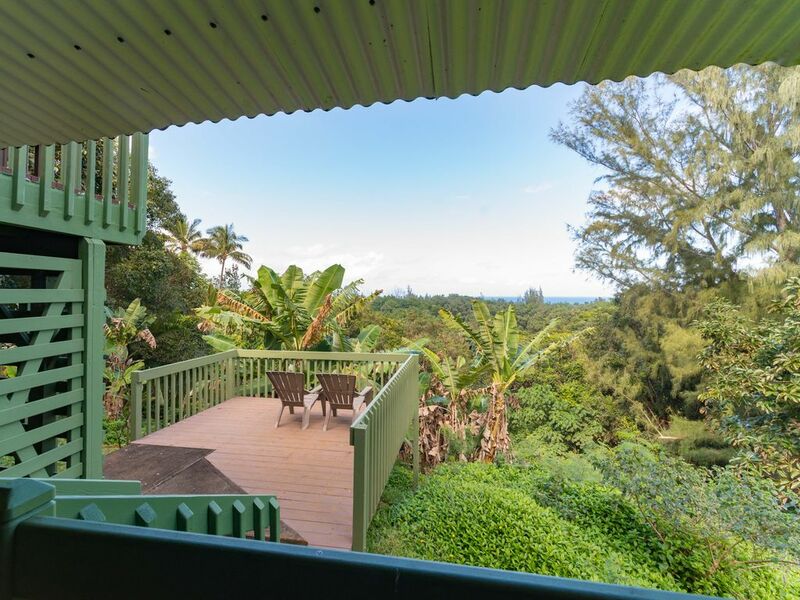 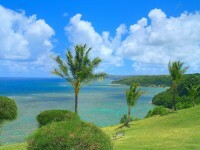 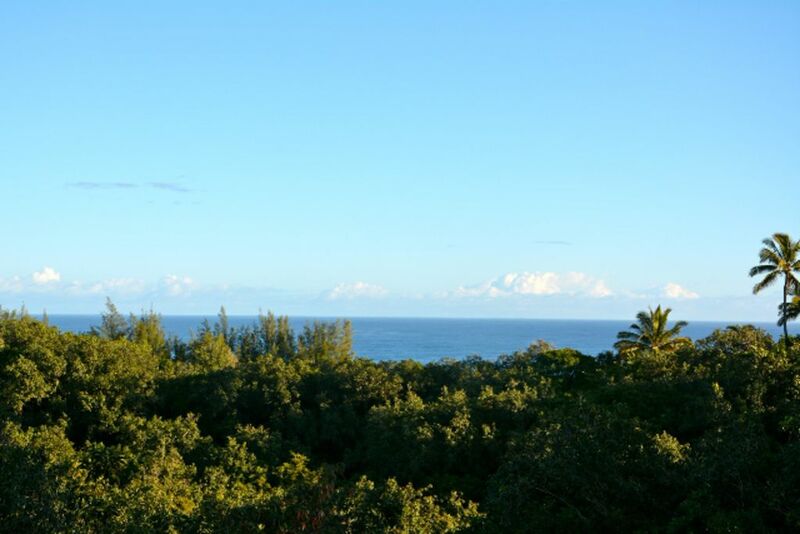 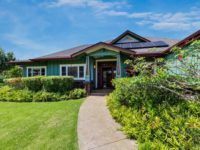 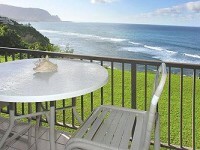 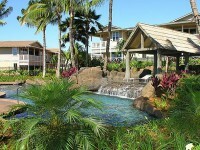 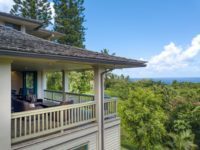 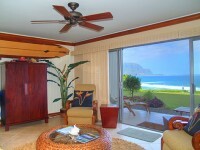 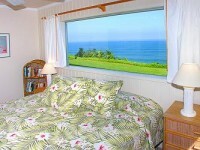 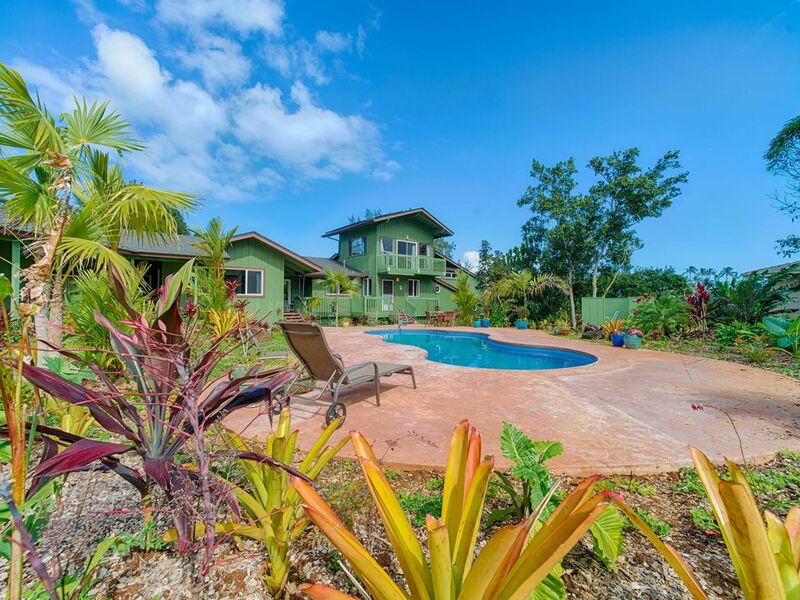 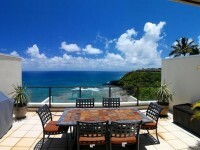 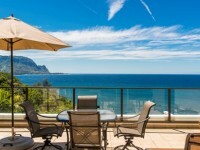 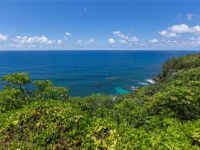 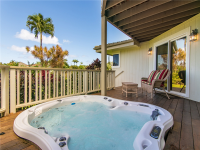 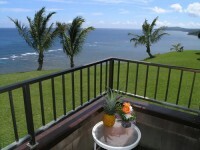 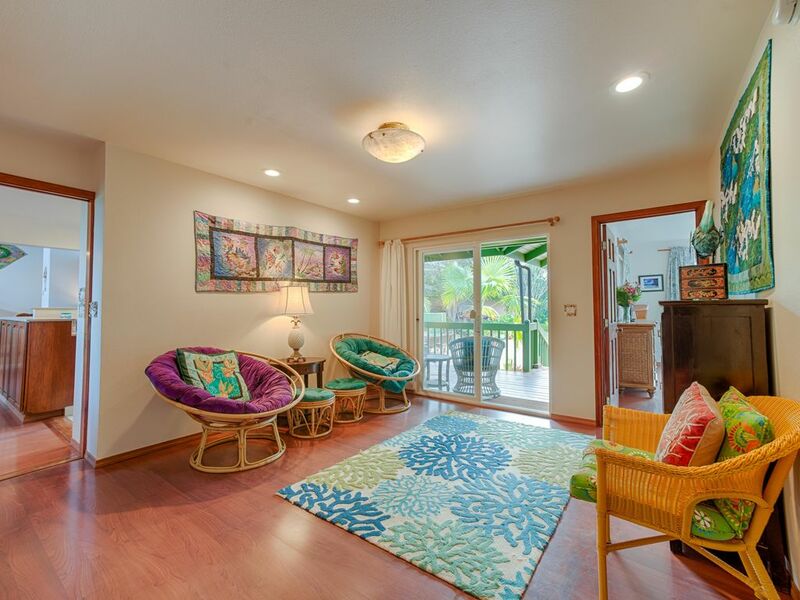 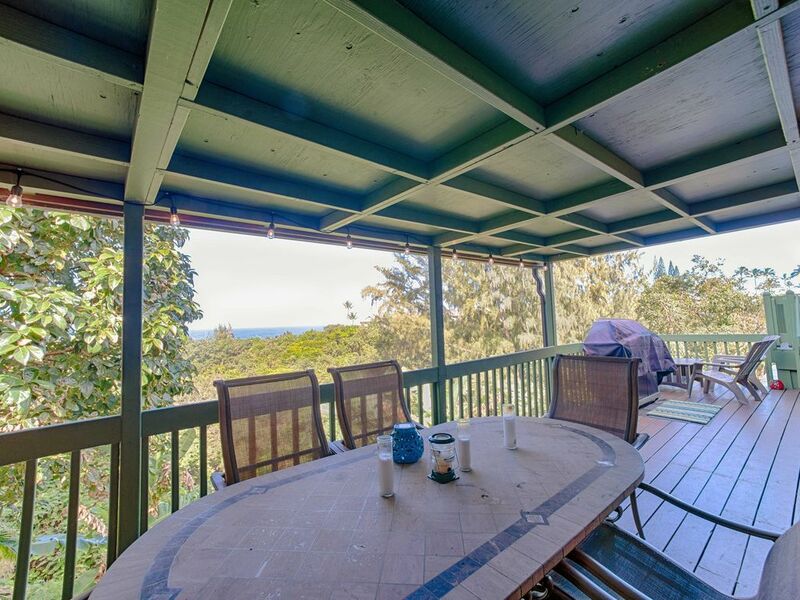 PRINCEVILLE, KAUAI VACATION RENTAL: Stylishly furnished with a plethora of ocean and mountain views to boot, this five bedroom, three bathroom house in Princeville wears a modest green exterior, blending in to its natural surroundings. 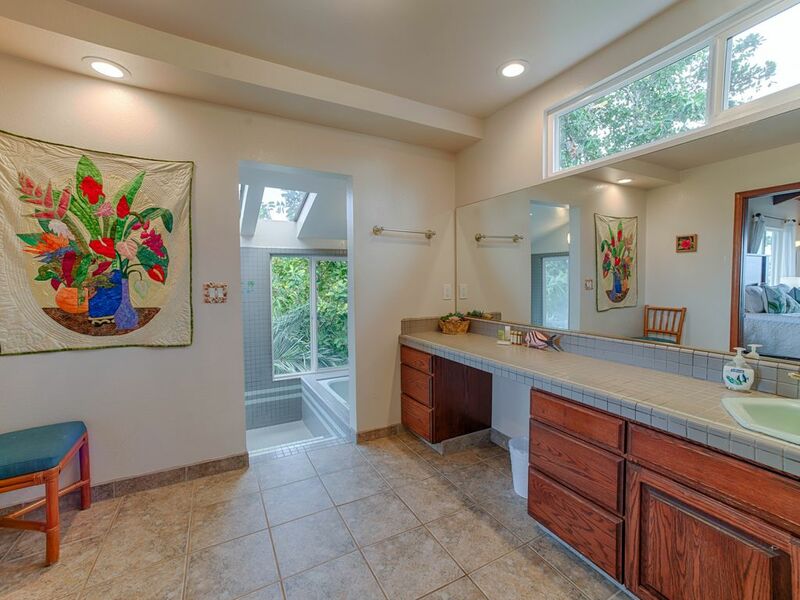 But those who enter the Queen’s Bath Home will find an interior polished from head to toe and designed with absolute attention to detail. 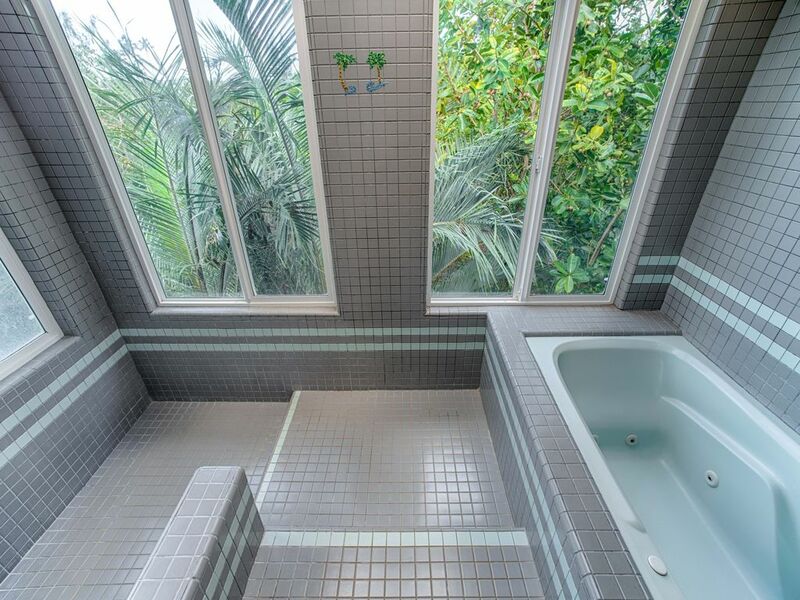 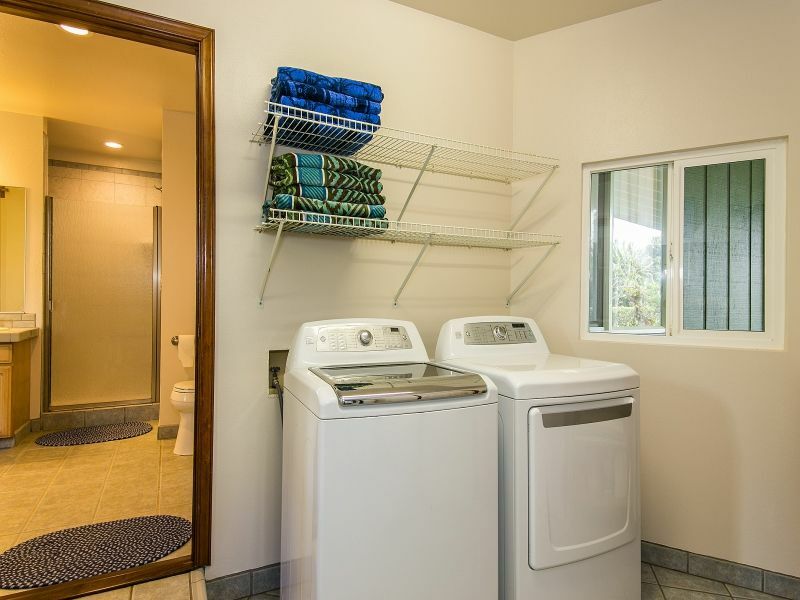 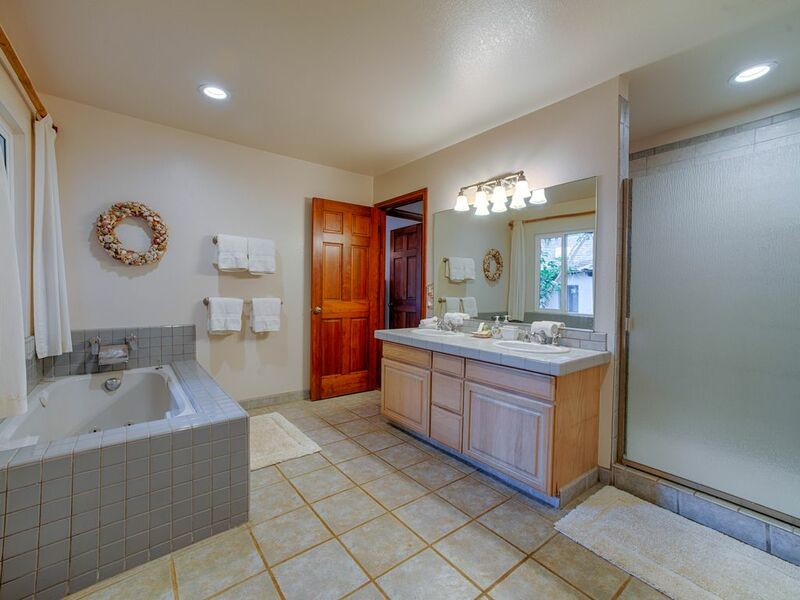 For example, have you ever dreamt of having an ocean view… from the bathtub? 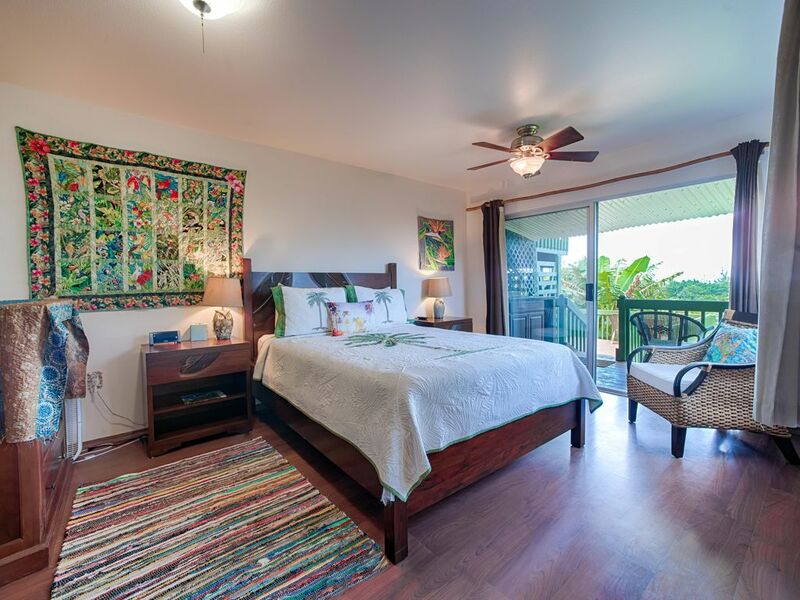 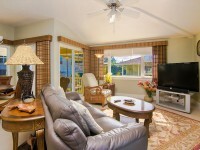 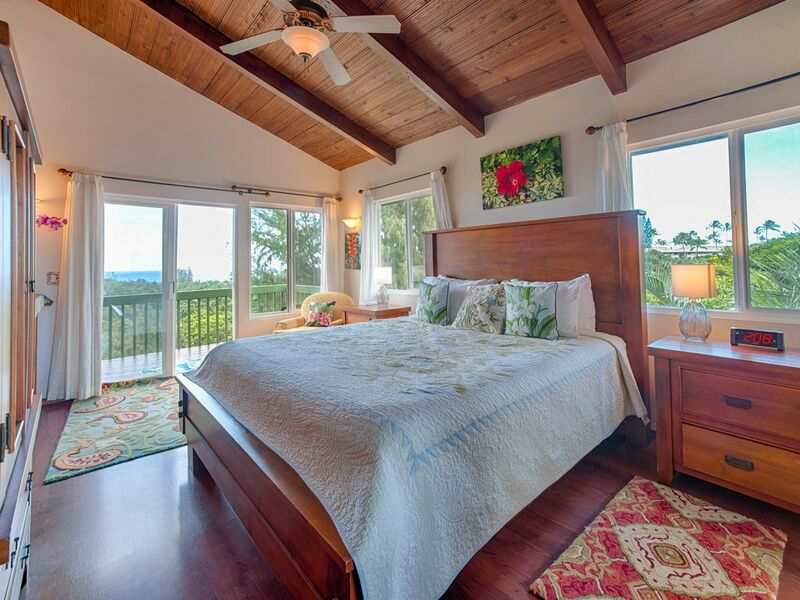 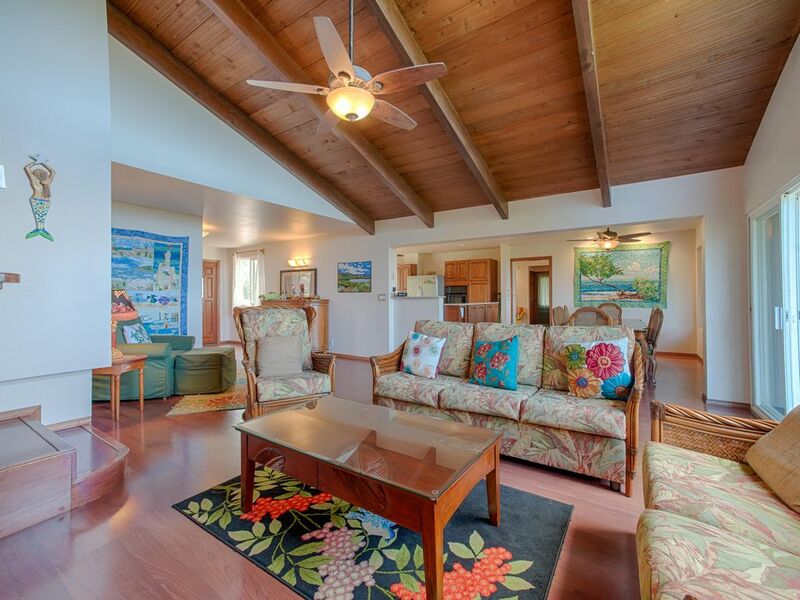 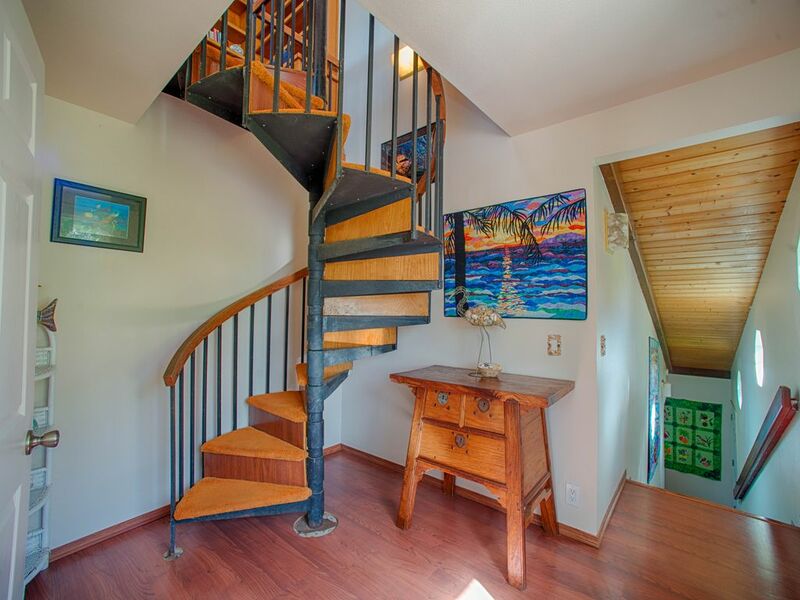 With beautiful hardwood floors and plentiful sunlight streaming in, comfort is an absolute at Queen’s Bath Lookout. 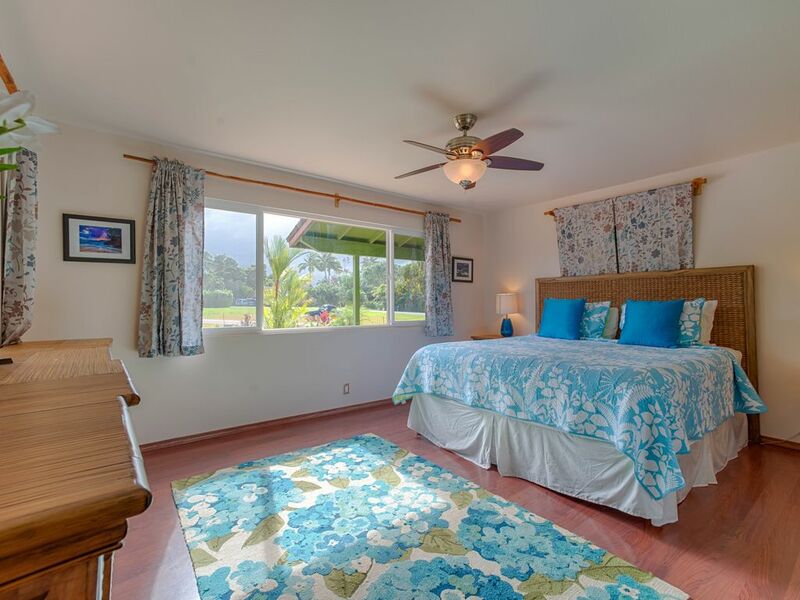 While the master suite features a king bed, HD Cable TV, airy A-framed ceiling, private lanai and an attached bathroom with a Jacuzzi bath and walk-in shower, the other bedrooms feature a queen bed with sitting area and TV, a queen bed with private lanai, and two twins with a TV, respectively. 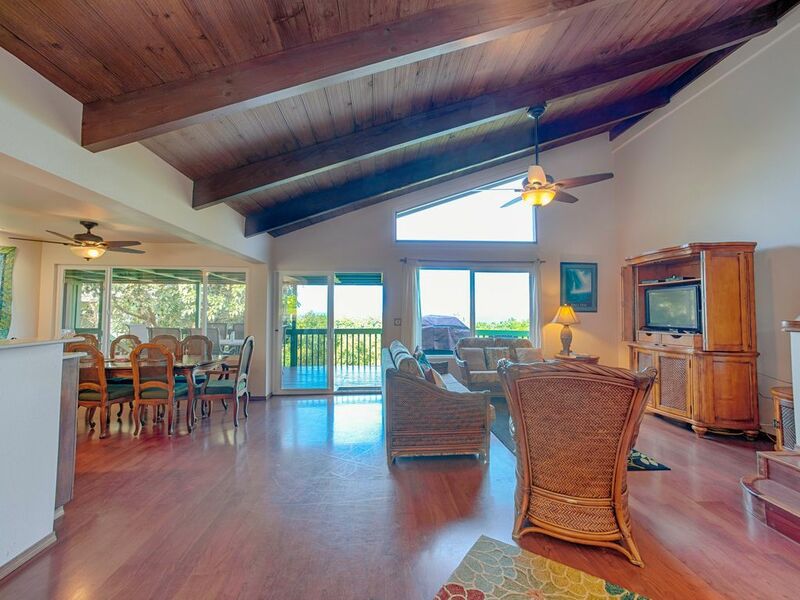 The living area with vaulted ceiling hosts a sectional sofa and flat screen TV—while the second bathroom has a Jacuzzi tub, double sink and a separate shower. 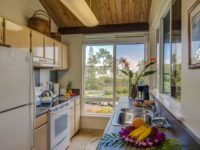 The kitchen features a 6-burner gas range, brand new refrigerator and kitchen appliances and stainless pots and pans while the large outdoor lanai hosts a propane BBQ, chaise lounge chairs and a sitting area—all the ingredients for proper ocean-view lounging. 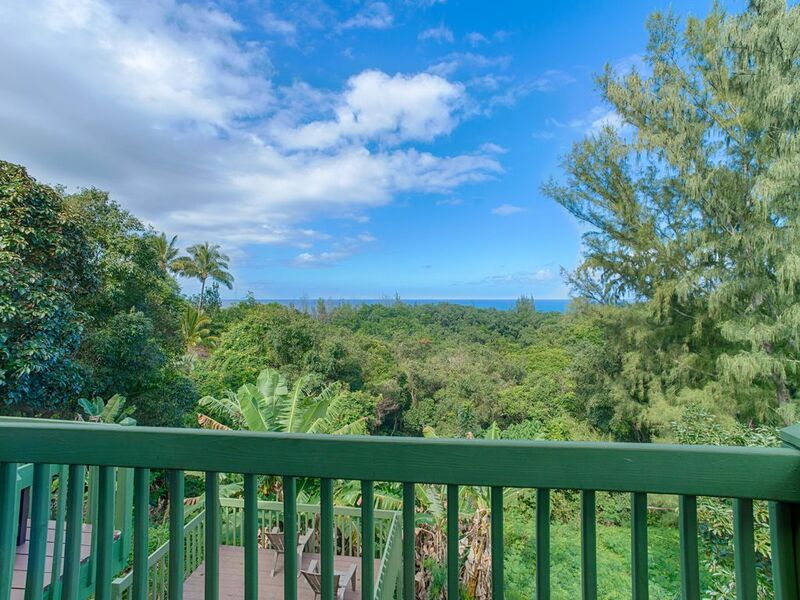 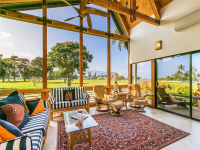 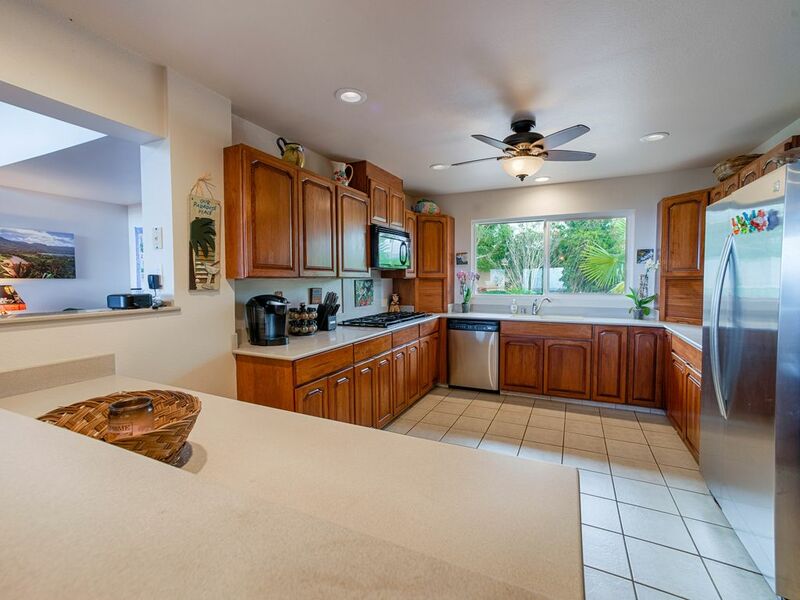 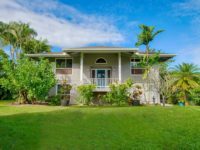 Conveniently located in the community of Princeville, this home’s location is ideal with two world-class golf courses, numerous beaches, the Princeville Shopping Center and the St. Regis Princeville Resort all being less than a mile away. 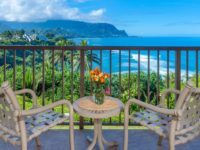 A short drive in either direction offers more beaches and North Shore wonderment and opens up a world of activities from surfing, diving, snorkeling, hiking or perusing Hanalei’s charming shops and eateries just down the hill. 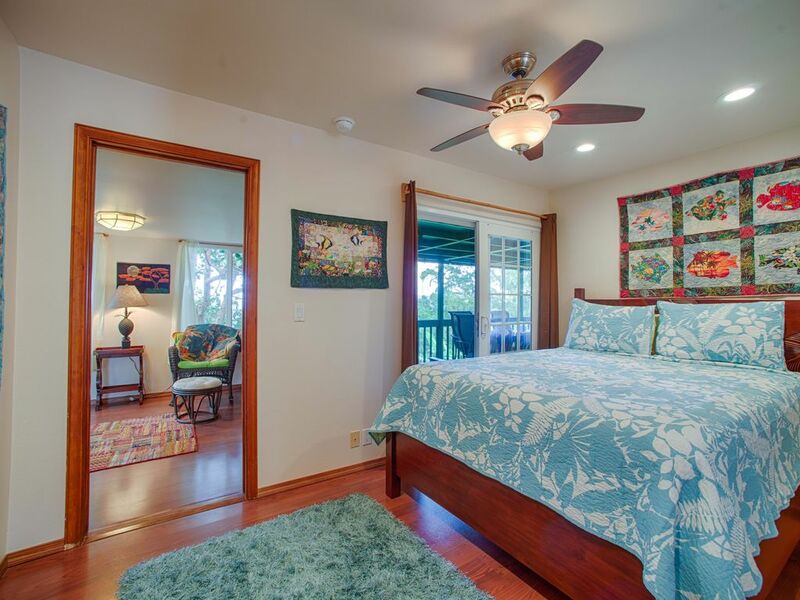 The lower level is a separate suite with Queen size bed and ensuite bath.